​​HOUSTON - An apartment tower is slated to break ground next year behind a boutique hotel in Montrose. 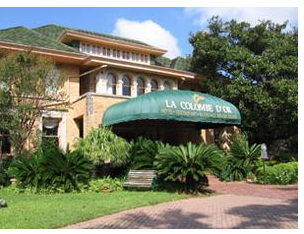 Hines is teaming up with La Colombe d'Or to build a 34-story residential tower. The 285-unit project—the Residences at La Colombe d'Or—will be built on a one-acre site owned by the Zimmerman family, who own the hotel. As part of the project, the hotel and restaurant will receive a $10 million renovation and expansion that will add 17 rooms. The project should be completed in 2020.